Some of the most energetic and motivated advocates for children with disabilities are single parents whose only support and encouragement may be from other parents in their children's inclusive classrooms, and disability advocacy groups that provide the small accommodations needed for participation by everyone in our community. Although many single parents are unmarried or divorced, others may be raising their children alone due to a spouse being in the military; having a job that requires extensive overtime or frequent travel; and some who are living in another place during the work week because they are unable to sell the family home before relocating. Some of the ways advocacy groups are supportive of single parents may be providing free childcare for all families during meetings or other events; reducing membership costs and providing scholarships for workshops; offering small meals after commute times and snacks during meetings directly after school. Single parents may have extended family or long-time friends who provide respite opportunities and encouragement, but are just as likely to have a limited network and few resources. Whatever their situation, others may take for granted that they would ask for help if it is needed. Even if a single parent has asked for help, the presumption of her having everything under control may cause multiple requests not to be acknowledged. Recognizing cultural differences and providing access to the decision making process in budgeting and programs to diverse representatives of the advocacy community is sometimes more difficult than expected. There is still a stigma to being divorced or unmarried in leadership communities dominated by married couples with bigger stakes in maintaining their own established positions and opinions. Raising children with disabilities without shared parenting responsibilities can create challenges that will not be overcome by even the most earnest attempts to include everyone. There may not be enough hours in the day for a single parent to add an extra commitment. It may be difficult for a child to accept temporary caregivers, and it may seem that the mother chooses to spend every extra moment she has with her child only because options are not available. There are often extra challenges in dealing with changing family dynamics if parents are newly separated or divorced. It may be that a stay at home mom must find work to support the family, or a working mother may need to quit her job in order to care for a child with a chronic health condition or other special needs. The absent parent may choose not to share caregiving responsibilities, or may resist including their child with a disability while siblings are invited for weekend or after-school visits or family events. While the absent parent may appear rested and well-groomed, the custodial parent may arrive at family gatherings and school meetings late, hungry or disheveled. There are many reasons that a single parent may feel disinterested in advocacy events, but it's possible that occasionally she may be upset or overwhelmed by situations that do not bear talking about. One complication may be that the absent parent feels that a great burden has been lifted when he is newly single and can make the decision to participate much less in his children's lives and more in his previous hobbies or interests. There may also be great empathy for him needing to escape what others recognize as a difficult situation. During a separation and after a divorce, absent parents are often admired for periodic appearances at school or public events with their children where they were taken for granted while married. This may be the only time the absent parent spends with his children. Being shown this kind of understanding and support is helpful in keeping fathers involved in their children's lives and helping them adjust to the change in all their lives. Single mothers may feel frustrated that the child's father has such a range of options that what was previously considered basic parenting is no longer considered the absent parent's responsibility. In less amicable relationships, the absent parent may arrive late to pick up the child or miss the drop off time when the custodial parent has plans or appointments. There may be emotional or even physical spousal abuse that the mother does not report or attempt to escape due to threats of withdrawal of financial support or the absent parent severing his relationship with the child and his or her siblings. 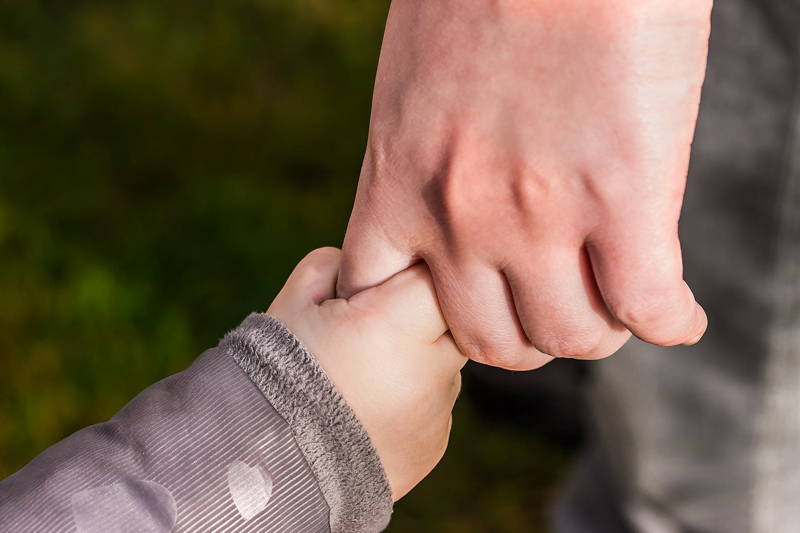 No matter what the relationship is between parents, children identify too much with each parent to be able to choose safety over that connection. Single mothers in this situation often make decisions that will benefit her children in spite of the ongoing risk to herself. Advocating for children with disabilities and their siblings in low-income single parent households often means that their mother is neglecting her own best interests with the hope her children will benefit from greater opportunities she finds or creates for them. Applying for scholarships or grants from parent groups, advocacy organizations and event coordinators can be a serial invasion of privacy and may create a sense of isolation that is even greater than the stigma of divorce or separation. There may be few advantages to a mother being a single aside from the day to day care and company of her children; and the joy and pride they feel in each child's development and accomplishments. The fierce affection and hope we have for our children's future can ignite a lifetime of advocacy no matter what our relationship status may be. Single parents are a valuable resource in their families and communities. A small investment in accommodations and encouragement can result in amazing benefits for all our children. But be safe and look out for yourself.